Description: The principle of affiliate marketing explained. 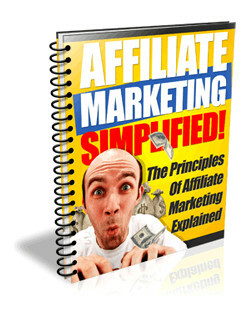 Inside this eBook, you will discover the topics about the 3 things all affiliate marketers need to survive online, how to become a super affiliate in niche markets, so many affiliate programs! Which one do I choose, which affiliate networks to look out for when promoting, easy profits using PPC in your affiliate marketing business, using product recommendations to increase your bottom line and so much more! ► Contains 25 Pages and 7749 Words. 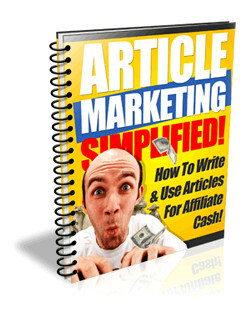 Description: Learn how to write & use articles for affiliate cash! Inside this eBook, you will discover the topics about targeted keywords and keyword phrases, keyword density, good article content, linking articles, outsource the article writing, use public domain material, tips on getting your articles read, affiliate article marketing, finding profitable niche markets, finding low competition keywords, free keyword tools, paid keyword tools and so much more! ► Contains 18 Pages and 6439 Words. Description: A quick primer on how to use blogging for profits! Inside this eBook, you will discover the topics about blogging in 21st century: introduction to online journaling, how can online blogging be profitable to ordinary individuals? How to start your own blog in less than 15 minutes and writing content and getting constant traffic to your blog. ► Contains 16 Pages and 3192 Words. Description: Learn how to use free bum marketing strategies. Inside this eBook, you will discover the topics about what is bum marketing, the key concepts, super fast writing, not thinking is key, make research easy, keep it simple and short, super product selection, fit your article to your product, clickbank marketplace, do search count and competition really matter, how to dominate Google – the multiple personalities perspective and final action plan for success. ► Contains 39 Pages and 10099 Words. 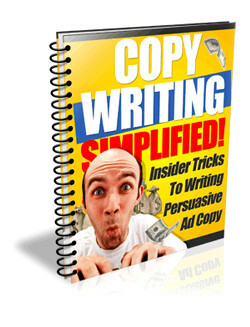 Description: Insider tricks to writing persuasive ad copy. Inside this eBook, you will discover the topics about web copywriting: essential or not? How to mind map your offer and craft your sales copy flow, the five ps of web copywriting, how to write a compelling headline that qualifies your prospects, the compelling story technique, introducing your offer and instilling the power benefits, killing all prospect doubts - leave no chance to excuse, and final tips and tricks to improve your copy. ► Contains 14 Pages and 3620 Words. Description: Learn how to get paid online for referring signups! 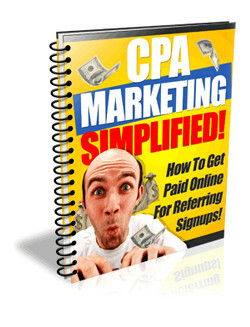 Inside this eBook, you will discover the topics about what is CPA? The basics of CPA marketing, CPA networks, and how they work, getting your foot in the door, 2 critical factors about CPA networks, CPA design, ways to promote your CPA offer, choosing CPA offers, CPA website optimization, types of ads you display, and 10 tips for effective CPA promotion. ► Contains 46 Pages and 5502 Words. Description: Learn how to use email to market your products! Inside this eBook, you will discover the topics about what’s an autoresponder? How can I make money with autoresponders? Your personal interests and areas of expertise, a self-quiz for finding a topic, marketability: will they buy? A quiz for marketability, research your market, create content, craft your autoresponder messages, set up your site, build your opt-in list and drive traffic to your site. ► Contains 107 Pages and 19914 Words. 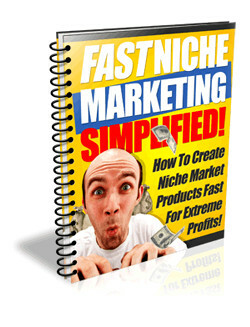 Description: Learn how to create niche market products fast for extreme profits! Inside this eBook, you will discover the topics about how to create products in a matter of hours! Record your own tips and advice, turn existing content into products, update/republish existing information, co-create a product, help finish incomplete projects, purchase 'private label' rights, hands-on video or camtasia presentations, create a package using existing products, public domain information and so much more! ► Contains 20 Pages and 6570 Words. 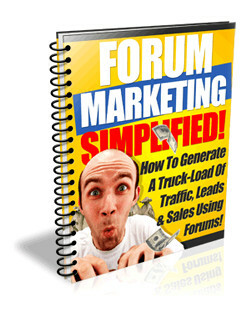 Description: Learn how to generate a truck-load of traffic, leads & sales using forum! Inside this eBook, you will discover the topics about forum marketing online, why is forum marketing effective, getting started with forum marketing, forum marketing etiquette, make your presence felt through forum posting, regular participation, only post high quality content, forum marketing can become an addiction, steps to successful forum marketing, importance of forum based market places and so much more! ► Contains 27 Pages and 6607 Words. 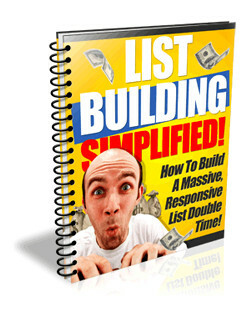 Description: Learn how to build massive, responsive list double time! Inside this eBook, you will discover the topics about simple ways to build your list, subscriber leads, opt-in leads, survey leads, affiliating, top two ways to profit from your list, mailing and subscriber lists, building your own mailing list, how to avoid mistakes when creating your subscriber list, how to design subscriber pulling web pages and so much more! ► Contains 43 Pages and 9492 Words. 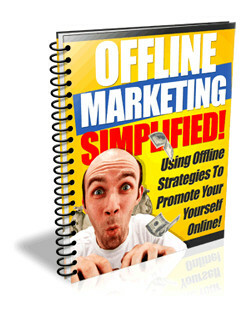 Description: Using offline strategies to promote yourself online! Inside this eBook, you will discover the topics about traditional offline marketing, creative offline marketing, free advertising with publicity, joint ventures and so much more! ► Contains 65 Pages and 15542 Words. 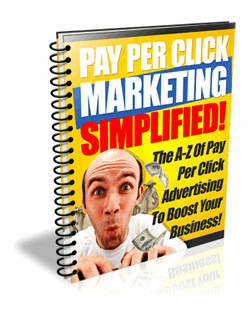 Description: The A-to-Z Pay Per Click advertising to boost your business! Inside this eBook, you will discover the topics about how to make your business “click”, maximum web promotion with PPC, how to create a profitable PPC campaign management, PPC bid management, the PPC appraisal program, cash and pay-per-click affiliate programs and in closing: to SEO or to PPC? ► Contains 27 Pages and 5217 Words. Description: Everything you need to know about PPV advertising! 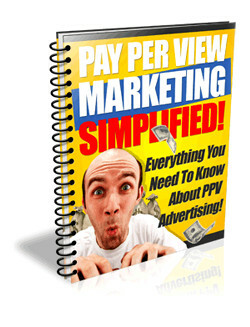 Inside this eBook, you will discover the topics about familiarizing yourself with the PPV target audience, why you should use pay per view advertising, why PPV advertising is perfect for affiliate marketers, unique benefits of pay per view advertising, not all PPV companies are created equal, heard negative things about PPV advertising? The many ways to use PPV advertising and so much more! ► Contains 21 Pages and 4837 Words. Description: Learn how to cash in on the network of social media sites! 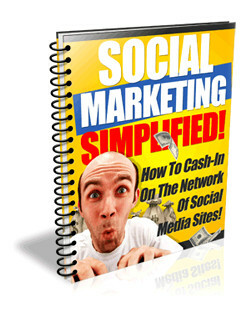 Inside this eBook, you will discover the topics about what is social networking? Why social networking sites are so popular, popular social networking websites, myspace: a popular social networking website, facebook: another popular social networking website, creating your social networking website profile, what not to put in your social network profile and so much more! ► Contains 21 Pages and 7518 Words. 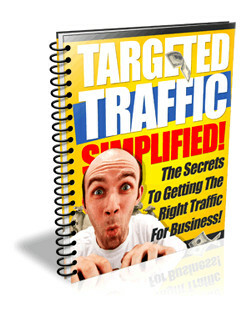 Description: The secrets to getting the right traffic for business! Inside this eBook, you will discover the topics about exponential resource management 1, the working concept - an overview, what to do with your list, an important tip, what to do with your list - continued, building affiliates from your list, turning your list into JV prospects, what to do with your list - summary, what to do with your customers, organizing - the key to success and so much more! ► Contains 63 Pages and 14721 Words. 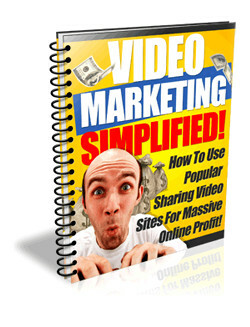 Description: Learn how to use popular sharing video sites for massive online profit! Inside this eBook, you will discover the topics about people are visual, who uses videos to promote business? Is video advertising expensive? What about video promotion? How do I begin? What about video content? How effective is video advertising - ask henry, what other visual methods can I use? Some video marketing tips and move into the future. ► Contains 37 Pages and 13458 Words.